This got me thinking about history (gee… what doesn’t? ), and how the history of humanity is as much the history of Epic Fails, as it is the history of Epic Wins. With this in mind, I present the first in what will hopefully turn into a series of Epic Fails throughout human history. Our first look comes to us from World War I… which could have easily been renamed the “War of Epic Failure” for all the idiocy it contained. The fact of the matter is, “World War I” is a misnomer, as it really is not the first time wars have spread across the globe. There are several contenders for the title of the “Real World War I”; the strongest is probably the Napoleonic Wars, which spread all throughout Europe, the Middle East, deep into Russia, and even had a sideshow in North America (a.k.a. “The War of 1812”). 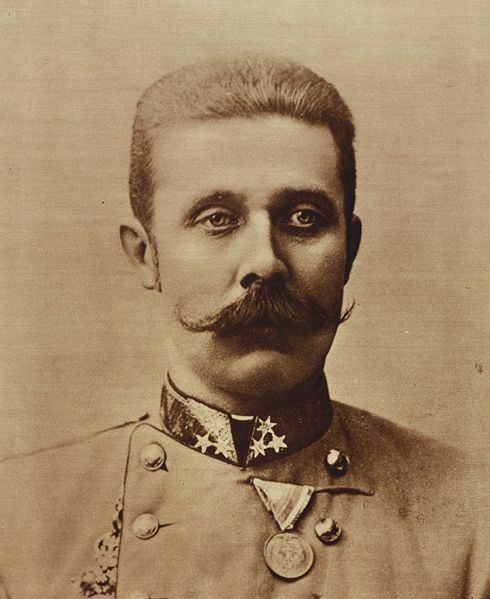 Archduke Franz Ferdinand was so vain about his appearance that he had himself sewn into his clothes to avoid wrinkles. Buttons would have been much easier for the doctors to deal with, and might have saved his life after his encounter with the Keystone Kops of assassins. Let’s see… an obscure Archduke was assassinated. That explains why Turks and Australians were killing each other in Gallipoli. Worse causes for invasion would not be seen for another 88 years. At a time when the British Army was running around in khaki, and the German Army was running around in a green/grey called “feldgrau,” the French Army went to battle in dark blue overcoats and bright red trousers, much to the delight of German and Austro-Hungarian sharpshooters. 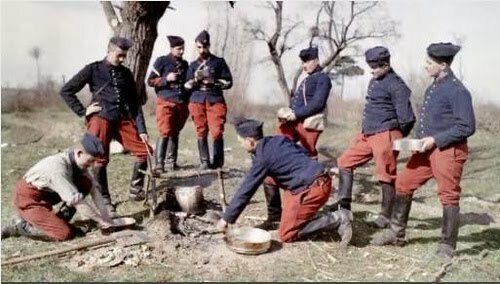 Eventually the French switched to a blue/grey color for their uniforms; hardly the greatest camouflage, but a giant improvement on the 1914 version. Not to be outdone by the French, the Germans marched into war wearing the “pickelhaube”, a leather helmet that offered minimal protection, and had a spike which often poked above the trench line, much to the delight of French and British sharpshooters. 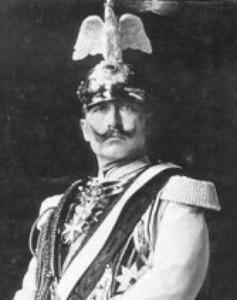 Eventually replaced by the “stahlhelm,” a helmet whose basic design continues to be seen in modern helmets. The French Chauchat machine gun. Horrible construction, extremely unreliable, and with an open clip that was supposed to tell the gunner how much ammunition remained, but also served as a perfect entry point for dirt and grime. Apologists point out that this was the precursor to portable machine guns of later years, but that still doesn’t excuse the horrible quality. The enemy is dug in to an extensive line of trenches, bristling with barbed wire, machine guns, and artillery. Your mission is to wait for the artillery bombard the *&^% out of those trenches, and then charge in a massive wave through all the obstacles the barrage didn’t destroy (i.e. most of them). Massive casualties abound. Most famously used by the British during the Somme, but all sides were guilty of this tactic. British battlecruisers. All the firepower of a battleship, with none of the protection. Add poor ammunition handling procedures during the Battle of Jutland in order to turn impressive-looking warships into flaming coffins in a matter of seconds. 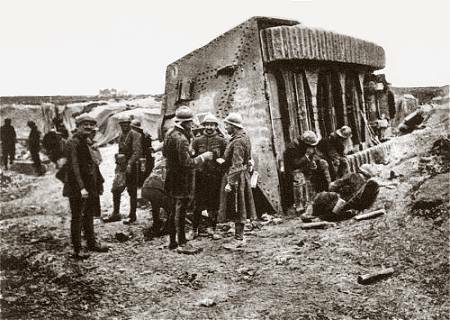 One would think that in a war dominated by trench warfare, tank designers would make something that could… maybe… cross a trench, but this overcomplicated, unreliable, artillery magnet had difficulty crossing rough ground. Let’s see… the Lusitania was a British ship, going to a British port, carrying tons of contraband in its holds, and sunk by a submarine that could not surface for fear of British Q-ships. Yet somehow, the history books still blame Germany. The United States declared war in late 1917, and didn’t really get there in sizable numbers until 1918, yet somehow wanted to be a full partner in the peace negotiations. “The War to End All Wars.” Obviously, the human race didn’t get the memo.